1.Which of the following type of class allows only one object of it to be created? 2.Which of the following is not a type of constructor? 3.Which of the following statements is correct? A.Base class pointer cannot point to derived class. B.Derived class pointer cannot point to base class. C.Pointer to derived class cannot be created. D.Pointer to base class cannot be created. 4.Which of the following is not the member of class? 5.Which of the following concepts means determining at runtime what method to invoke? 6.Which of the following term is used for a function defined inside a class? 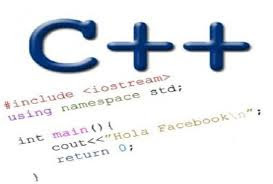 7.Which of the following concept of oops allows compiler to insert arguments in a function call if it is not specified? 8.How many instances of an abstract class can be created? 9.Which of the following cannot be friend? 10.Which of the following concepts of OOPS means exposing only necessary information to client?